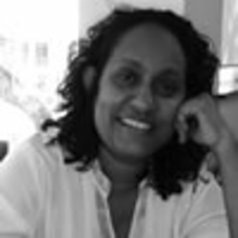 Harini Amarasuriya, PhD, is a Senior Lecturer at the Department of Social Studies, at the Open University of Sri Lanka. She completed her PhD in Social Anthropology from the University of Edinburgh where her dissertation work explored the nexus between the state, development policy and practice within the bureaucracy, specifically in relation to probation and child care services in Sri Lanka. Her work has included research in the areas of youth unemployment and conflict, gender, child protection, globalisation and development. Prior to joining the Open University, Harini worked as a child protection and psychosocial practitioner for several years. She currently serves as a Board Member of Nest, a local NGO working in the psychosocial sector, the Centre for Women’s Research and the Law and Society Trust. She was the lead researcher for Sri Lanka’s National Human Development Report 2014, which focussed on Youth and Development and was also a member of the drafting team for Sri Lanka’s National Youth Policy which was launched in 2014.